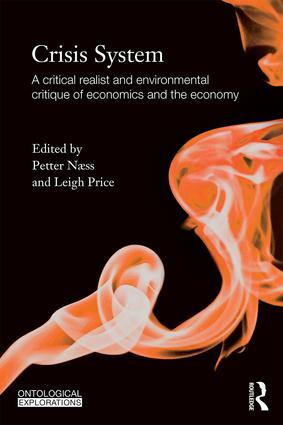 This book throws light onto the nature and causes of three different but strongly interconnected crises in contemporary societies worldwide: an economic crisis, an ecological crisis and a normative (moral and political) crisis. These crises are reflected in the profoundly inequitable distribution of wealth, resources and life opportunities around the world. If we follow the causal roots of these crises, we are led back to an inherent dynamic in the capitalist economic system itself, discursively expressed as neoclassical, mainstream economics. For instance, by conflating human needs with market demand, mainstream economics disregards the needs of those who do not have sufficient purchasing power, as well as any needs that cannot be quantified or monetised in some way. Mainstream economics also ignores the notion of natural limits. Furthermore, it seems that everything that is quantifiable is potentially for sale and this results in the substitution of nature, indigenous cultural traditions and various life forms with commodities and ‘human capital’. The latter is defined as the skills instrumental for continual economic growth. Besides critiquing the academic discipline of economics, this book also points to a number of dysfunctional and crisis-prone structures and practices of substantive economic life. It will be of interest to students and scholars working in philosophy, economics and environmental studies. 11. China at the crossroad: ecological modernization or ecosocialism? Petter Næss is Professor of Planning in Urban Regions at the Norwegian University of Life Sciences, Norway. Leigh Price is Research Associate at Rhodes University, South Africa, and visiting Research Associate at University College London, UK.